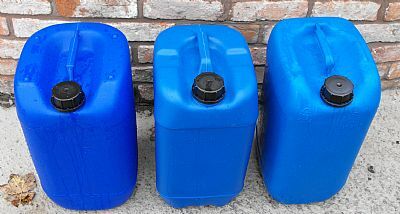 Plastic 25lt containers, washed out ready for use, previously contained none food products, Complete with 4.5cm screw cap. Can arrange delivery if needed, or collection in person is welcome by arrangement. 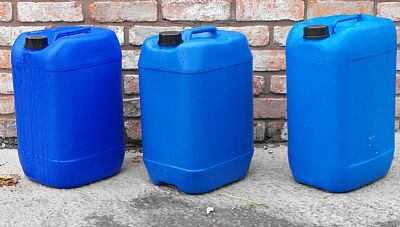 Please note that there are different styles of Jerry can, the image(s) is a guide, we cannot guarantee which type is available at any given time, all full pallets will contain the same shape/style of can unless otherwise stated or agreed. 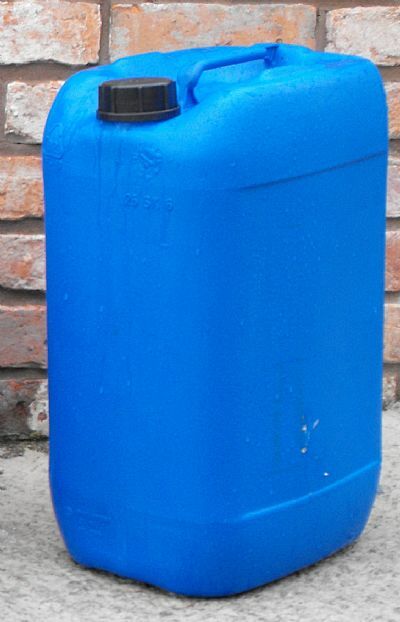 Delivery is quoted for pallet rate, up to 64 per full pallet, smaller quantities catered for! For all delivery quotes, please have your postcode available!